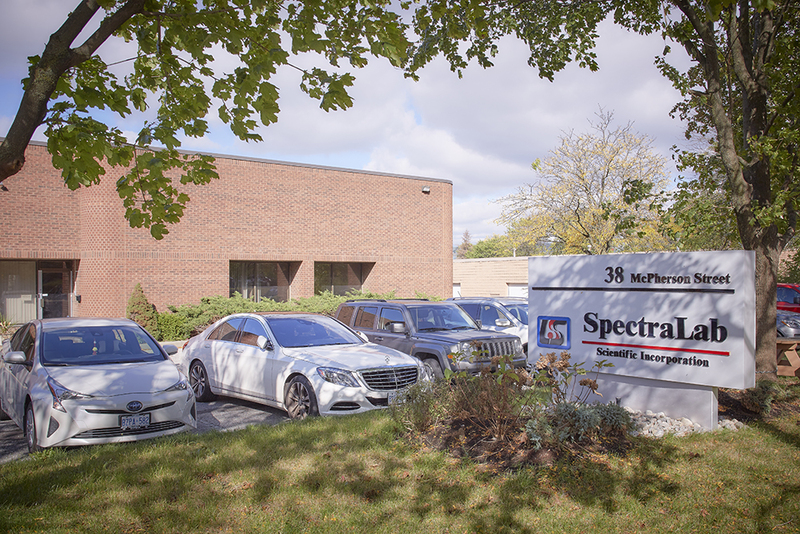 About Us | Spectralab Scientific Inc.
is a spin-off from ThinLayer International established in 1997. 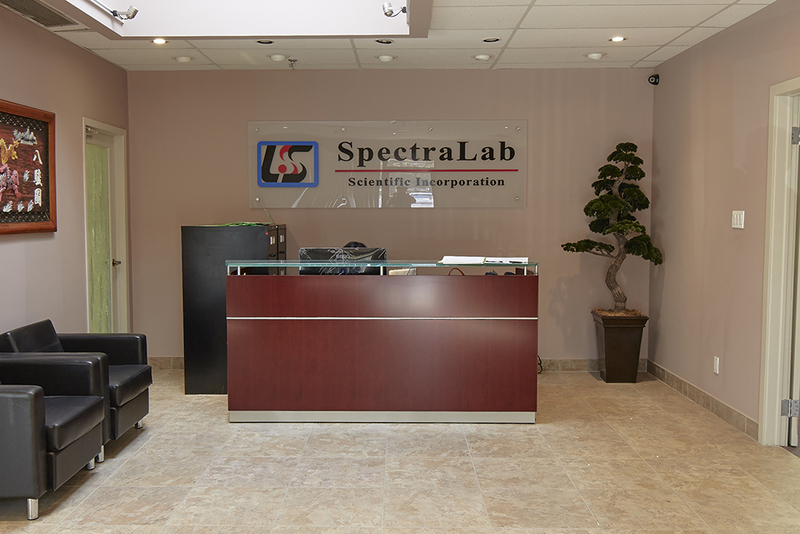 Spectralab Scientific started operating in Canada in 2003. 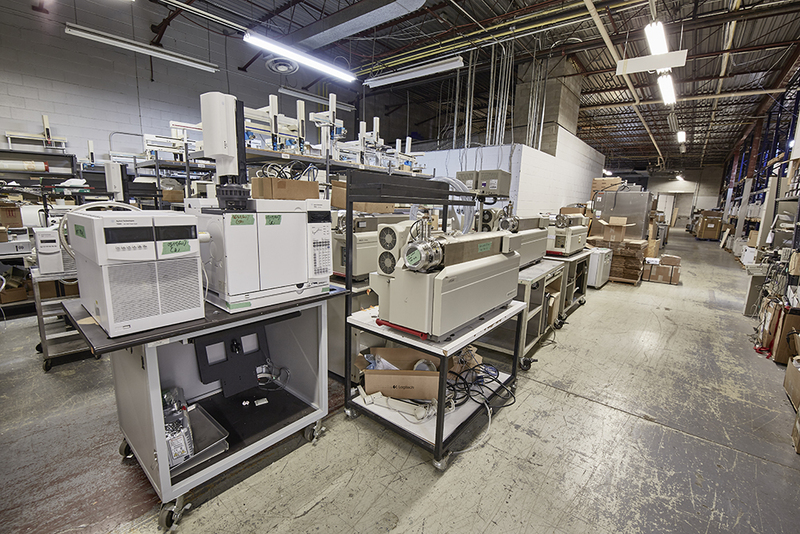 Since 2003 we have grown to become a global leader of pre-owned refurbished analytical equipment. Our expertise involves refurbishing equipment by integrating some of the best available technologies in the market with a diverse range of leading manufacturers. We are committed to quality and service which is a key to our customer’s satisfaction and to our success. Enhanced services include maintenance and/or service contracts, repair services, validation services, equipment parts, and a variety of on-site tailor-made training programs. Our modern facility, currently standing at 25,000 sq. ft., is located amongst more than 1,100 technology and life science companies in Markham, Ontario, “Canada’s Hi-Tech Capital” in the Greater Toronto Area (GTA). Our expertise in lab technologies such as HPLC, LC/MS, GC and GC/MS allows us to offer personalized solutions and consolidated instrument service for validated environments. Our services include Calibration, Qualification and Preventive Maintenance of instruments from almost any leading manufacturer. Our goal is to ensure greater uptime of instruments which leads to improved performance and superior productivity, while maintaining compliance with significant cost savings. GC, HPLC, GC-MS, GC-MS/MS,LC-MS, LC-MS/MS, ICP-MS, ICP-OES, Autosamplers & Sampling devices. Spectrophotometers – UV-Vis, FTIR, Fluorescence etc. SpectraLab is committed to providing high-quality hands-on analytical laboratory instrument training using modern teaching media to increase customer expertise and productivity in the laboratory. The courses focus on operation, data analysis and reporting, troubleshooting and maintenance as well as advanced topics. The courses are pre-defined as well as custom tailored upon request. We also maintain a spacious and separate lab at our facility for demonstration of our current products, wherein prospective clients and professionals have the chance to see our products on display. Trial runs can be arranged to prospective clients in order to get the facts they require. All of our products are securely packed in sturdy material cartons or wooden crates as required. They are packaged with bubble wrap in order to provide cushioning for the goods. There is also robust physical protection against possibility of damage during transportation. Our company uses the most efficient logistics service providers such as Fedex, TNT, Day & Ross etc., for effective flow of goods, ensuring that environmental and performance concerns are taken into consideration. In the midst of an accelerating pace of technical innovation, we are uniquely positioned to identify, evaluate and respond effectively to market needs because of our technical expertise. Our mission is to consistently deliver reconditioned hi-tech instruments with superior quality and reliability. PROFIT and Canadian Business unveiled its 28th annual list of Canada’s Fastest‐Growing Companies on September 15, 2016. SpectraLab Scientific Inc. ranked no. 388 on the 28th annual PROFIT 500, the definitive ranking of Canada’s Fastest Growing Companies. This was published in the October issue of Canadian Business and at PROFITguide.com. Spectralab Scientific donated to the Canadian Red Cross to help the thousands of people who have been displaced by the wildfires in the Fort McMurray area. This is a devastating event that we felt needed our support as fellow Canadians. Spectralab Incorporated is in possession of an enormous inventory, with over 3000 unique products. We also offer the opportunity for customers to request custom equipment from parts.